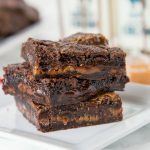 Fudgy Salted Caramel Brownies – Rich, fudgy brownies that are filled with a layer of gooey salted caramel. On Friday I shared with you my Dark Chocolate Mint Cupcakes that are part of a competition with Nestle. When they asked me to create something for them, I actually created two chocolate treats. This is the other recipe I tested. 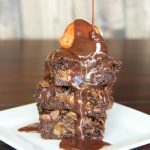 I was really happy when caramel was selected as the ingredient for this months #chocolateparty, because then I had a reason to share them with you right away! These salted caramel brownies are really more than I hoped they would be. I am not big on the salty/sweet combo (gasp…I know), but I absolutely loved these. They were so fudgy, and gooey, and oozing with caramel you couldn’t help but fall in love. I decided to take it to the next level and top the brownies with ice cream and homemade hot fudge sauce. Seriously, not sure it gets any better! I am firmly in the fudgy brownie camp. 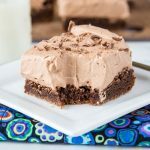 I made a few slight adjustments to the recipe I have been using since I was a little girl to come up with this new fudgier version. I melted pre-made caramels to pour over the brownie batter, and then sprinkled with a generous serving of sea salt. The brownies don’t actually taste salty. It just gives them that something extra that makes them special. Fudgy brownies with a layer of salted caramel. 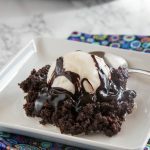 Take it over the top with ice cream and hot fudge! Preheat oven to 350 degrees. Grease and flour an 8 inch baking dish. Or line with foil, and spray with non-stick spray. In a microwave safe bowl combine caramels and evaporated milk. Microwave for 1 minute at a time until smooth, stirring well after each minute. In a bowl combine melted chocolate with canola oil. Add sugar, and eggs. Mix until well combined. Stir in flour and salt. Fold in chocolate chips. Pour 1/2 of the brownie batter into the bottom of prepared dish. Using your fingers if necessary, spread out in a thin layer. Pour melted caramel mixture over the top. Sprinkle sea salt over the caramel. Drop small pieces of batter over the caramel mixture. It will not completely cover, but that is ok.
Bake for about 25 minutes, until the top is set, and a tester comes out mainly clean. 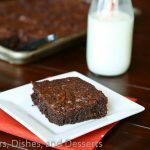 In the mood for more Brownies? 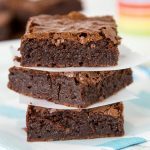 If you need even more brownie inspiration check out my Recipe Index. 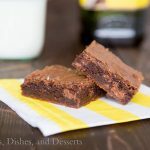 Or get inspired and follow along on my Brownies Pinterest Board. That looks really delicious, I love the fudgy texture ! I adore sweet & salty- these look delicious! 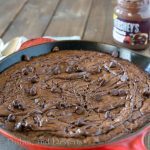 There’s no denying it, it looks very fudgy and melt-in-your-mouth! Absolutely drool-inducing stuff – and it’s no fair! It’s only 8:30 am here in Toronto and I want chocolate brownies!!!! Ahhhh…! 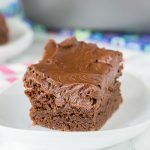 These brownies look stupid delicious (and I mean that in a good way!) I love anything that involves caramel. 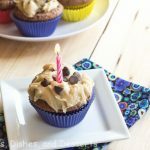 And I’m so excited to join in on the chocolate party – what a fun idea! Um these looks to die for! 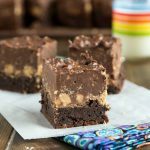 I love chocolate and caramel and these brownies scream that! 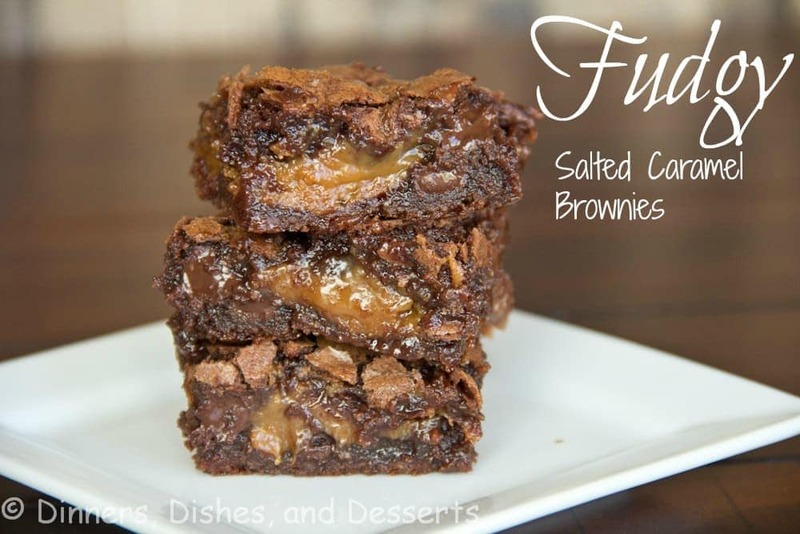 I´m a fudgy brownie girl too, and put them together with caramel and some salt and it becomes a problem…jaja. 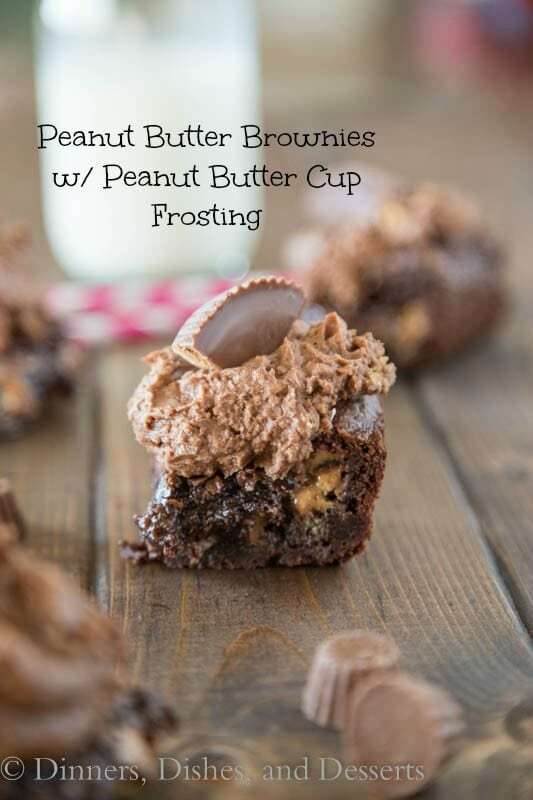 These are amazing, totally decadent Erin! Oh my goodness! These are unbelievably delicious looking! What a treat for chocolate lovers! You can never go wrong with a chocolate caramel brownie! 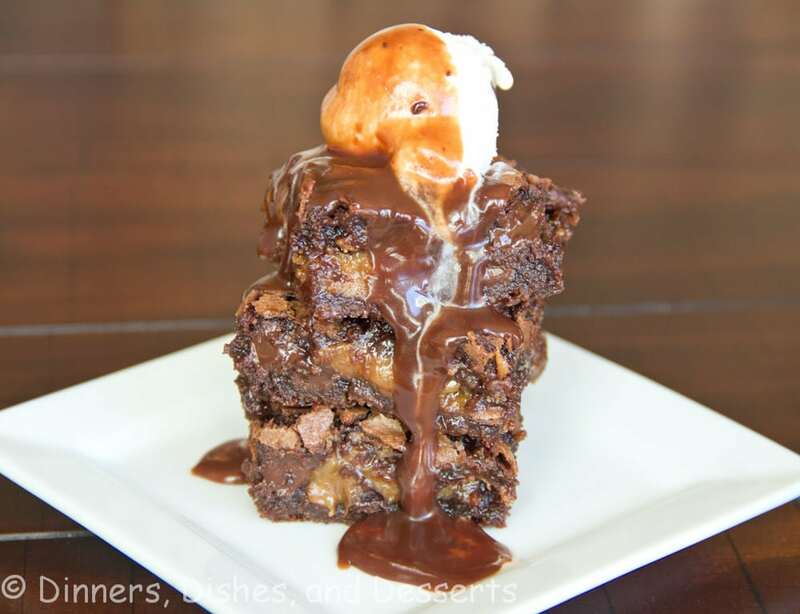 Fudgy, gooey and oozing with caramel? SOLD! These look incredible!!! 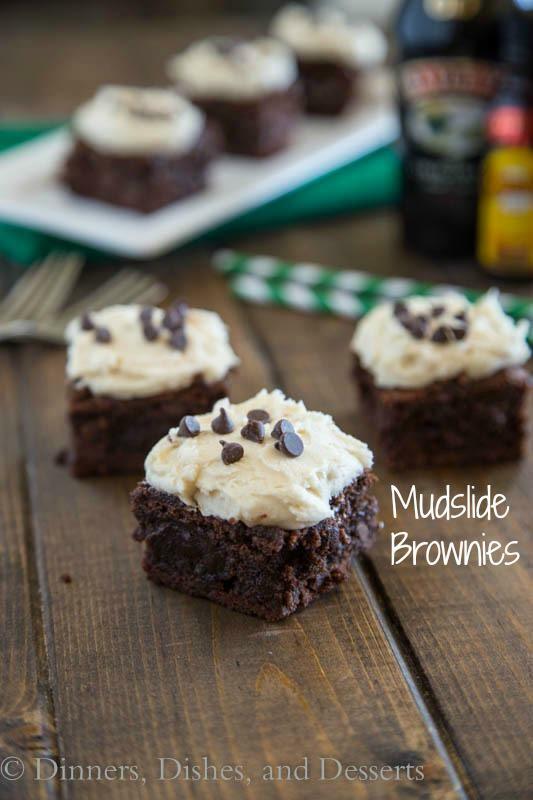 Oh my goodness – those brownies look like chocolate heaven!!! Incredible! yum! i still need to make my chocolate party recipe! Erin, this looks sinfully incredible!!! I really wanted to start my diet today. 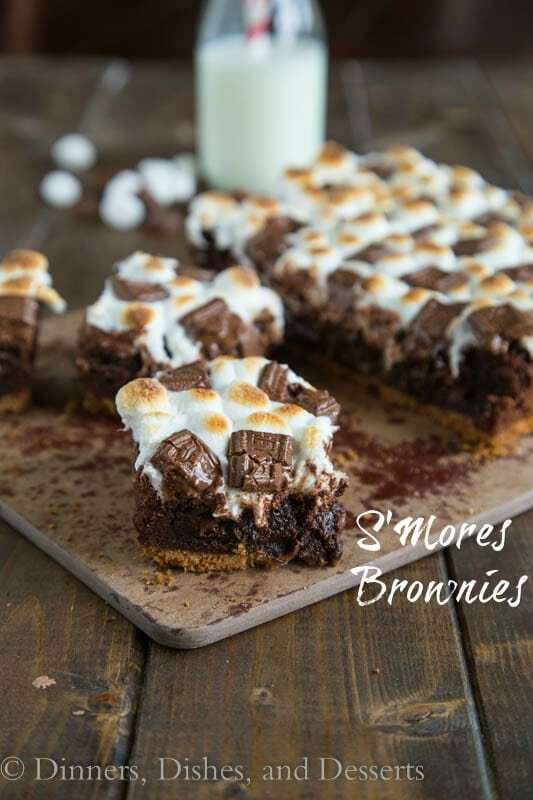 Then I saw these…diet…brownies…yep, brownies win. These look irresistible! The brownies are amazing. That drizzle? FABULOUS. I want to drink it! OMG! Your picture was super enlarge in my e-mails and I swear I was drooling, I had to whip the drool from my chin! Amazing looking brownies!! 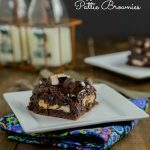 I am all about the sweet and salty combo, and love it in these brownies! These look amazing and are making me drool! OH MY GOSH. So fudgy! Totally drooling over here. Looks like we both had brownies on the brain today! These look so amazing! Very beautiful brownies, it happened I had the same feeling with the salty sweet combination, only lately started to enjoy it. Salted caramel with chocolate is a perfect combination. Oh my word! How insane and delicious do those brownies look!!!! I want some for breakfast now…these eggs aren’t doing it for me now!!! WHAT! Erin, I need these in my life right now. I am a fool for salted caramel and dark chocolate together. And fudgy brownies, of course. These are just gorgeous! How fudgy and delicious. I cant wait to make these! 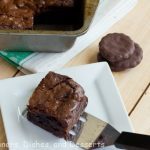 These brownies are fabulous, I love how fudgey and gooey they are, great job Erin. OMG – this is a too die for dessert! Two of my favorite things put together in one delightful dish! This dessert looks so absolutely decadent and delicious. Beautiful, beautiful photographs. I just made a version of these as well! They’re the cure to any sweet tooth. Whoa. I like your style. Very nice! Oh wow yum, these look insanely delicious! I want to make this recipe right now! Oh my god!! This look GORGEOUS!